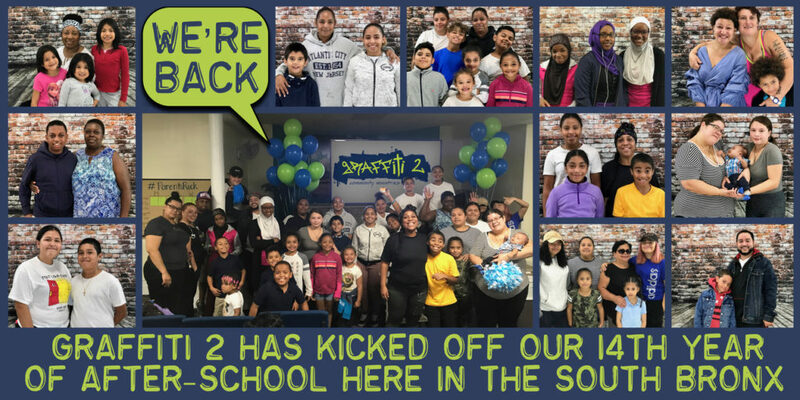 On Thursday, September 27, Graffiti 2 kicked off our school year programs. Friends of G2 from across the country helped us celebrate the start of the new year–check out their video at the bottom of the page! To stay up-to-date and see the latest pics, visit us on Facebook or Instagram. We appreciate your prayers and support as we continue to serve our Mott Haven neighborhood. Did you know it costs $300 per student per month for Graffiti 2 to operate programs? If you would like to make a donation towards our operating budget, click the button below.